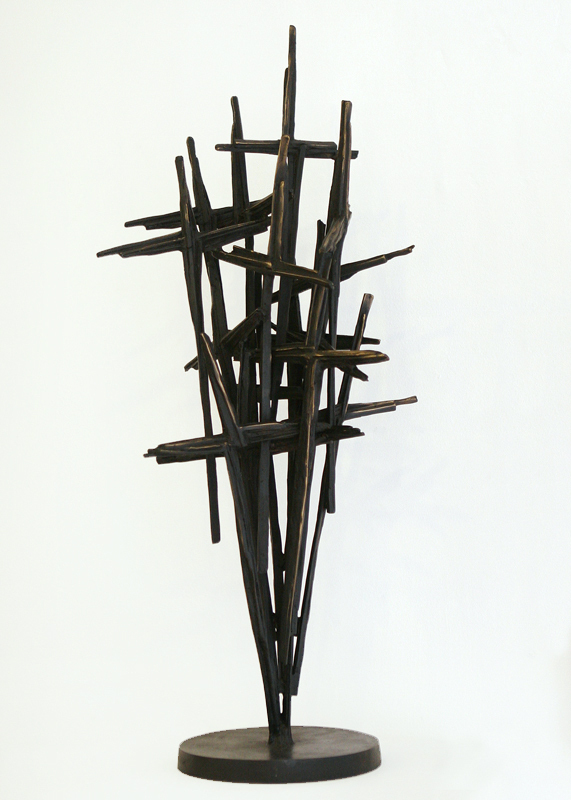 John Behan RHA is an Irish sculptor from Dublin. After an apprenticeship in metal work and welding, the foundations for Behan’s success were laid in the sixties, when he trained in London and Oslo and began to exhibit widely. He was a founding member of the New Artists’ group in 1962 and Dublin’s innovative Project Art Centre in Dublin in 1967. Behan has been awarded many honours and became a member of the Royal Hibernian Academy in 1990. Behan is also a member of Aosdána. In June 2000 he was awarded an Honorary Doctorate from the National University of Ireland, Galway on the same day his large commissioned sculpture, ‘Twin Spires’, was unveiled at the college. His major public commissions include ‘Flight of Birds’, ‘Famine Ship’, ‘Tree of Liberty’, ‘Daedalus’, ‘Millennium Child’, and ‘Arrival and Equality Emerging’, unveiled in Galway city in November 2001.